6 Soft Large Flour Tortillas, Since 1938 we've been bringing vibrant flavours inspired by the bustling streets of Mexico. Our Super Soft Flour Tortillas are pressed from fresh dough balls and oven baked until they're nice and toasty. Soft and pillowy, these flour tortillas will make any Mexican meal, from sizzling fajitas to tangy burritos. Forget the knives and forks ... simply roll and enjoy! Pack Size: 350g, Packaged in a protective atmosphere. 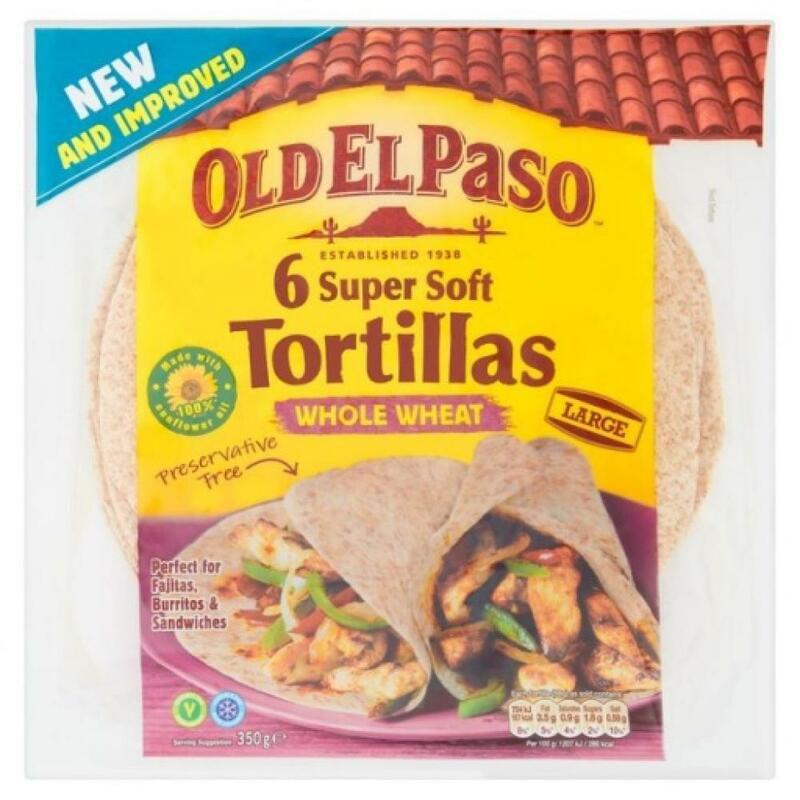 Made with 100% sunflower oil, Perfect for fajitas, burritos & sandwiches, Preservative free, Suitable for vegetarians.